"Word of an imminent MacBook refresh of some sort appear every day. Whether it be a new MacBook Air or the revamping of Apple's most popular laptop, it's interesting to take a look at how the design of the portable Mac has evolved over time." The iBook G3 pictured above was the first one I ever had any hands on time with, as one of my co-workers brought hers in one night to work. I was still on the fence until they came out with the G4 Titanium in slide 10. Sold! Interesting retrospective of all the laptops over the years and it is fitting with all the rumors lately of a MacBook Air refresh. 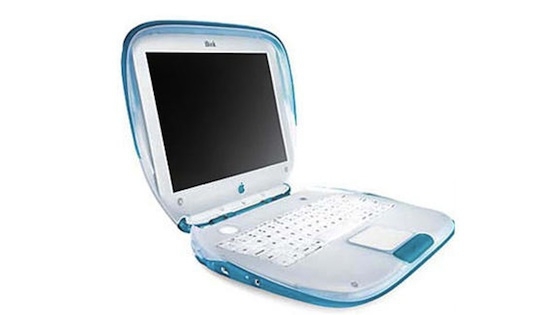 Which Apple laptop was your first?